This silver fork bears the Fairholme family crest and motto (Spero meliora — I hope for better things). 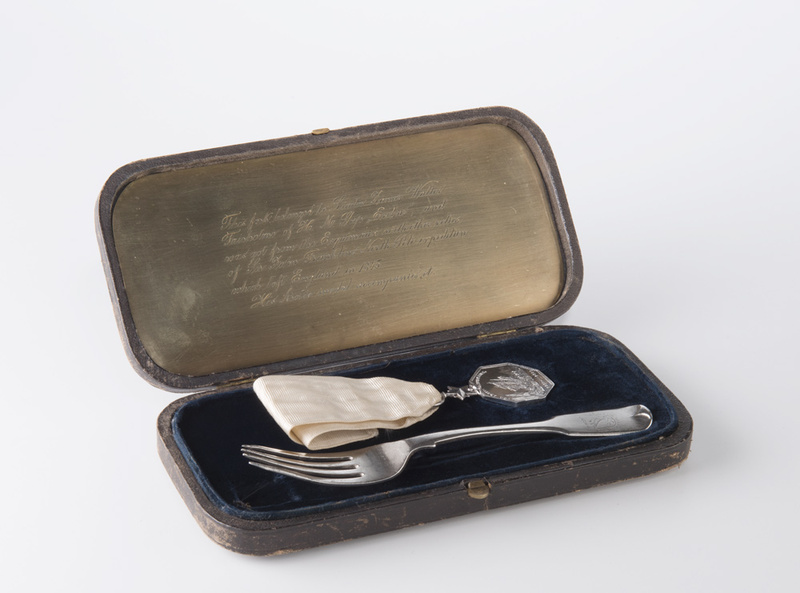 It belonged to Lieutenant James Fairholme, a member of the last Franklin Expedition. Sir John Franklin and his crew left England on May 19, 1840 to chart the remainder of the Northwest Passage. The 129 men never returned.